In 2016, our small liberal arts institution, Herbert W. Armstrong College, received recognition for an exciting archaeological discovery at the Ophel excavation site in Jerusalem. 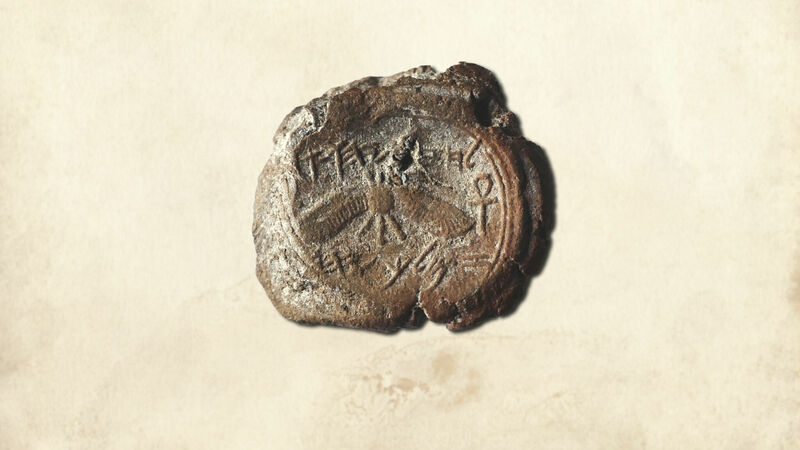 It was a small clay seal belonging to one of the greatest kings in Judah’s history, King Hezekiah. What a message this small clay seal has for the world, if people will listen! The bulla was actually found in material excavated back in 2009. It takes time to wet-sift and process what you uncover in those digs. At the time it was found, the excavating was being done by three people, two of whom were our Herbert W. Armstrong College students: Brent Nagtegaal and Harley Breth. So we were directly involved in what turned out to be a massive discovery! 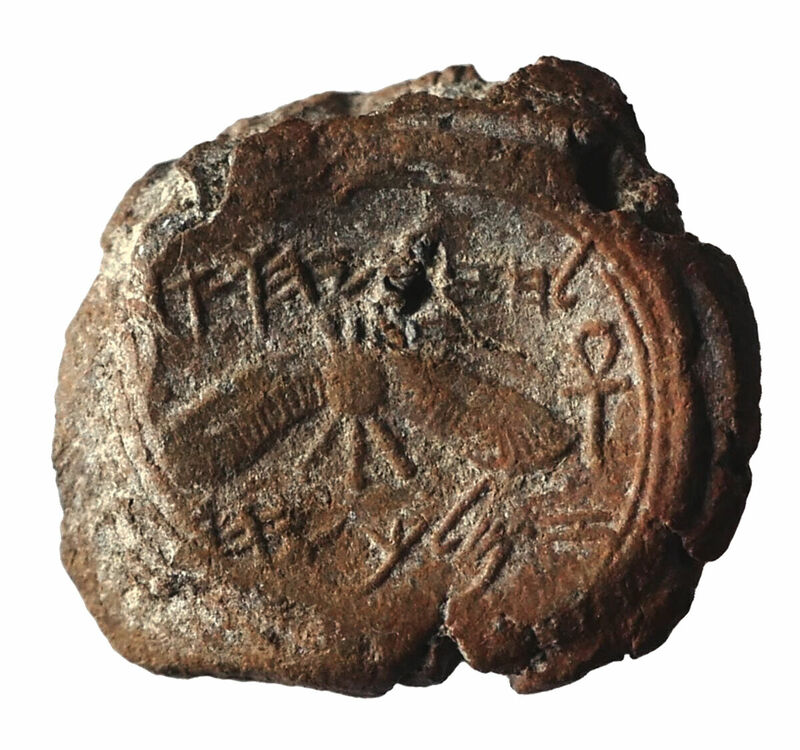 Other seals of King Hezekiah have been available on the antiquities market since the 1990s. But their origins are suspect. 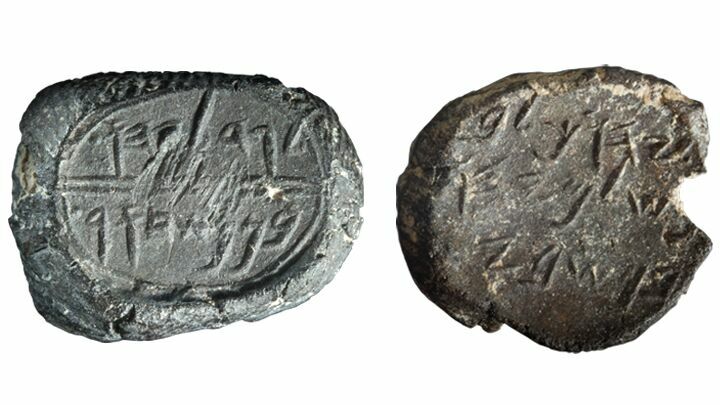 The bulla Dr. Mazar unearthed in 2009 was the first seal impression of an Israelite or Judean king that has ever been found in a scientific archaeological excavation. Even secular sources corroborate the existence of King Hezekiah, and, by extension, the veracity of the Bible. Assyrian King Sennacherib, who invaded Israel and surrounded Jerusalem, wrote about Hezekiah in his annals. Still, uncovering this bulla right in the royal quarter of Jerusalem adds exciting proof and detail to what we know about this king—and we were directly involved in its discovery. The history of King Hezekiah is deeply inspiring. It is actually extremely prophetic for us today! This seal has a message for this world that it desperately needs to hear. 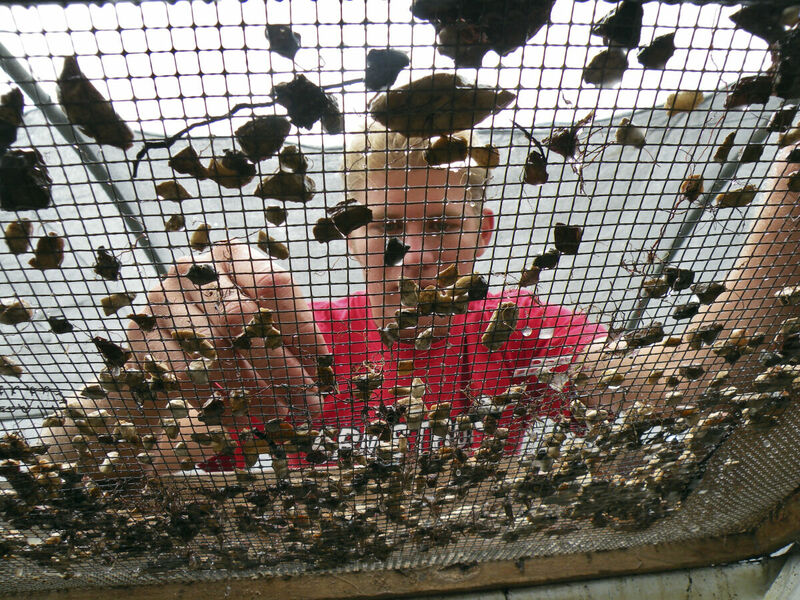 HIDDEN TREASURE—Herbert W. Armstrong College alumnus Brent Nagtegaal sorts through sifted material from the 2009 Ophel excavation. The Hezekiah bulla is not the first seal impression of a Judean noble that we have been interested in. In 2005 and in 2008, Dr. Mazar’s team unearthed bullae belonging to Jehucal and Gedaliah, respectively. These are two Judean princes who persecuted the Prophet Jeremiah. Both are named in the very same verse of the Bible: Jeremiah 38:1. These two seals powerfully corroborate the record Jeremiah wrote. Miraculously, the first place these two bullae were publicly displayed was 6,856 miles away, in Edmond, Oklahoma. Dr. Mazar agreed that Armstrong Auditorium, on the same campus as our main Trumpet offices, would be an appropriate place to display these amazing archaeological finds, and the Israel Antiquities Authority approved. The “Seals of Jeremiah’s Captors Discovered” exhibit was on display to more than 4,000 visitors, and thousands more concertgoers who visited Armstrong Auditorium for over three years. The seal impressions of Gedaliah and Jehucal; two princes that persecuted Jeremiah the prophet. These bullae were discovered during a 2008 archaeological excavation by Dr. Eilat Mazar in the City of David. On the very day we packed up the Jehucal and Gedaliah bullae to ship back to Israel, Dr. Mazar announced discovery of the Hezekiah bulla. In many ways this is an even greater find, with more historical significance, than the bullae of the two evil princes who tried to have the Prophet Jeremiah killed. It is certainly a much more inspiring find, with a spectacularly uplifting message! Look at what Hezekiah accomplished when he was king. 2 Chronicles 29 shows that when he took office at age 25, he began his reign the right way. He refused to follow the idolatrous path of his father, King Ahaz (2 Chronicles 28:22-25). He saw the spiritual filthiness of his nation and immediately began to purge all pagan practices. He cleansed the temple of God and put a prod on the priesthood to purify themselves and serve God once again (2 Chronicles 29:11-17). He got rid of the idolatry. He single-handedly put the nation back on course to properly worship the true God! How impressive! It’s amazing what one man can do when he zealously commits himself to God. Hezekiah led the people to resume keeping the holy days. He wrote letters to all of Judah and Israel to convince them to attend the Passover and Days of Unleavened Bread services at the temple in Jerusalem (2 Chronicles 30:9). Sadly, many of the people refused to follow Hezekiah in this righteous cause (verse 10). But there were some who humbled themselves and came to Jerusalem to keep the holy days (verse 11). True joy began to flow in their lives. Verse 21 says they “kept the feast of unleavened bread seven days with great gladness”—or “great delight” (Moffatt). This is how to have joy in your life! “So there was great joy in Jerusalem: for since the time of Solomon the son of David king of Israel there was not the like in Jerusalem” (verse 26). If you don’t have this joy in your life, follow Hezekiah’s example, and serve God with all your might! Look at this world. Do you see great joy in America and Britain and Judah? No—you see terrible problems, fears, anxieties and stress-induced sickness. There is a cause for every effect. The cause for the problems that plague our peoples is sin. Obey God! What joy it gives us when we do things the way God wants them done! Setting the kingdom of Judah back on track spiritually was courageous, arduous, difficult work for Hezekiah. But after that came a monumental trial. Assyria was a fearsome superpower at the time. The armies of King Sennacherib were massive. They could not be beaten by any physical army, and they struck terror in nations! And they began to move on the cities of Judah (2 Chronicles 32:1). The Jews were greatly outnumbered and had no hope of withstanding this daunting enemy. To understand how terrifying the Assyrian army must have been to the Jews, think about the modern descendants of the Assyrians under Adolf Hitler. Hitler’s goal was to exterminate every Jew in Europe and eventually the world. His fanatical anti-Semitism stemmed from his hatred for God! God entrusted the Jews to preserve His oracles and the Hebrew calendar, so Satan used Hitler to try to wipe them out. Hitler nearly succeeded, killing 6 million Jews and causing the deaths of 60 million people in World War ii. The Bible says the Assyrian war machine will be far more destructive the next time around. We can see that prophecy borne out in the proliferation and scale of the advanced weaponry that exists today. 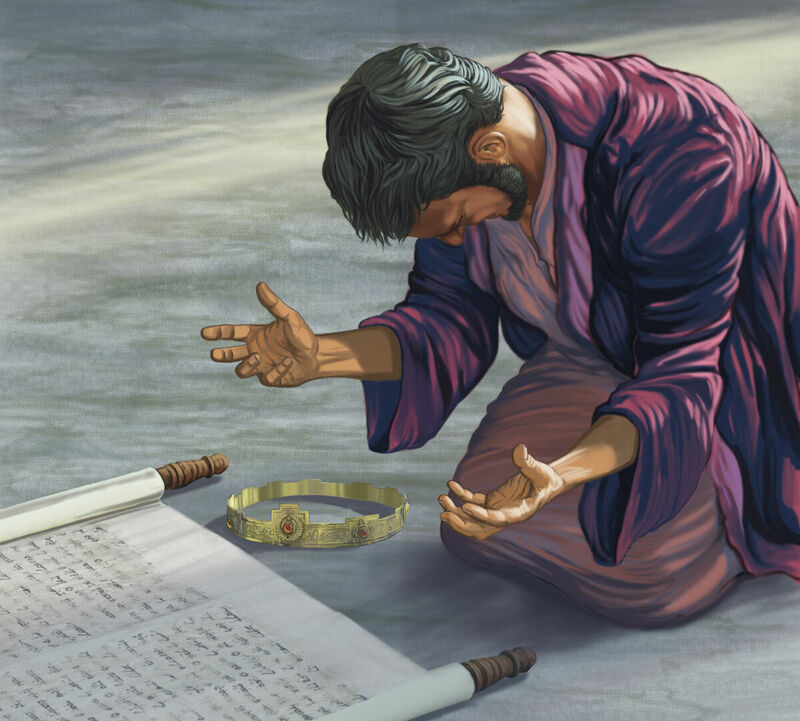 King Hezekiah cries out to God for deliverance. The towering lesson from the life of King Hezekiah that we must learn is God must fight our battles—or we will not win. But Hezekiah responded to this crisis by turning to God and crying out for deliverance (2 Kings 19:1-2). He also became close friends with the Prophet Isaiah. Not many national leaders look to men of God as this king did. Hezekiah put this hopeless situation completely into God’s hands. God heard Hezekiah’s prayer and gave a courage-building reply through the Prophet Isaiah (verses 32-34). Hezekiah passed God’s encouraging words on to the people. “And he set captains of war over the people, and gathered them together to him in the street of the gate of the city, and spake comfortably to them, saying, Be strong and courageous, be not afraid nor dismayed for the king of Assyria, nor for all the multitude that is with him: for there be more with us than with him: With him is an arm of flesh; but with us is the Lord our God to help us, and to fight our battles. And the people rested themselves upon the words of Hezekiah king of Judah” (2 Chronicles 32:6-8). One godly leader can inspire an entire nation to trust God! What did God do? “So the Eternal rescued Hezekiah and the citizens of Jerusalem from Sennacherib the king of Assyria as well as from all other foes, protecting them on every side” (verse 22; Moffatt). God sent a death angel into the Assyrian camp by night to slaughter 185,000 troops (2 Kings 19:35). He supernaturally wiped out the entire Assyrian force that had gathered against Jerusalem! Sennacherib returned home in disgrace and was eventually killed by his own sons (verses 36-37). Realize that this is written as an example for us to follow! The deep lesson in what Hezekiah accomplished can be applied to the physical nations of Israel today. These are times of grave national sins. How could Jerusalem be saved today? Or America, or Britain? Hezekiah shows how to save a nation! At the center of Hezekiah’s bulla is a small circle representing the sun. And Hezekiah had it depicted with wings, outspread and oriented down a bit. What might a circle with downturned wings mean? It symbolizes the fiery, all-powerful God who is also a God of love! It shows that God shelters and protects us! When we face tribulation, God will simply wrap us up in His wings. God even told Hezekiah through Isaiah that He was like a bird flying over and protecting Jerusalem (Isaiah 31:5). He will rescue us from trials, whether they are related to health, finances, persecution or even invading armies! That is quite a symbol! That symbol points to a statement Jesus Christ made in Matthew 23:37: “O Jerusalem, Jerusalem, thou that killest the prophets, and stonest them which are sent unto thee, how often would I have gathered thy children together, even as a hen gathereth her chickens under her wings, and ye would not!” God wants to protect His people, just like He did Hezekiah. He would shelter them if they would just obey Him! But what do they do? They kill the prophets and stone those who come to help them! What would it do for Jerusalem today if the Jews would turn to God the way Hezekiah did? What do you think would become of all the rocket attacks and stabbings that have been occurring there? What would it do for America and Britain? Their problems would be solved! In this age of terror, the Hezekiah bulla should resonate with the Jews more than any election or policy or form of self-defense. The story of this great king shows the Jews, the other descendants of ancient Israel, how to solve our problems! If they followed this example, God would do for them exactly what He did for Judah under King Hezekiah. The Hezekiah bulla should resonate with the Jews more than any election or policy or form of self-defense. The story of this great king shows the Jews, the other descendants of ancient Israel, how to solve our problems! This world needs hope. We are in dark times that are getting darker. We are experiencing regular terrorist attacks. The Jews in the Middle East are facing nation-threatening problems—some are concerned they could lose Jerusalem! If you understand Bible prophecy, you know that the modern descendants of the Assyrian empire that threatened Hezekiah’s Judah are rising again—and they are going to deal a deathblow to America, Britain (the birthright nations) and the Jewish state (the scepter nation)! God is going to use that same empire to punish those three nations most of all, because of their rebellion against Him. God will use Germany to purge America, Britain and Judah of sin (Isaiah 10:5). The Germans are subtly rearming and controlling more and more territory. They are moving their soldiers into the Middle East. Our peoples have an inexplicable disdain for history. Just 70 years ago, United States President Franklin Roosevelt and British Prime Minister Winston Churchill pledged never to allow Germany to rise again. Just a few years ago, few people would have imagined Germany providing armaments to much of the world. Yet today, that is one of the most profitable sectors of its economy! Today, Germany is more powerful than ever. The Germans are coming! The Assyrians are on the march once again. God is going to correct our people. The Messiah is coming soon, whether people heed the warning or not. I am sure this is why God brought Hezekiah’s bulla into the spotlight. That bulla has a message of tremendous hope, especially for those three nations! As our nations cower in fear under the threat of Islamic terrorism, God’s Church sees a symbol of hope in the face of grave danger: the Hezekiah bulla. The story of Hezekiah really shows Jews and the other nations of Israel how to solve their problems. It shows us physically and spiritually how to win our battles! It is dual—and it is mainly for today. “O thou that tellest good tidings to Zion, get thee up into the high mountain; O thou that tellest good tidings to Jerusalem, lift up thy voice with strength; lift it up, be not afraid; say unto the cities of Judah, Behold your God!” (Isaiah 40:9; Jewish Publication Society translation). God commands His loyal remnant to warn Zion (the rebellious Laodiceans), Jerusalem (America and Britain primarily) and Judah. We must shout with all our strength, “Behold your God!” That is what the Hezekiah bulla is all about. This article is excerpted from a longer article about King Hezekiah and the significance of the bulla discovery. For the full article, request our reprint “The Significance of the Hezekiah Bulla,” or read it online.